(0 Customer Reviews) | Write Review 12 issues per year If you're planning to transform your home, the new-look Real Homes is the perfect magazine for you. It contains more amazing before and after pictures of readers' homes than ever before - providing all the inspiration you need for your own project. And whether you're hoping to build a kitchen extension, convert your loft or garage, or simply redecorate your living room, you'll also find the in-depth expert advice you need to make it a reality. Don't miss the all-new Q&A section, which allows you to get your home-improvement questions answered by industry experts – from interior layout and design advice, to tips on budgeting and planning permission. Looking for a stylish kitchen on a budget? It’s possible to achieve your dream scheme without spending a fortune. Here are our tips and ideas for getting a quality look for less. 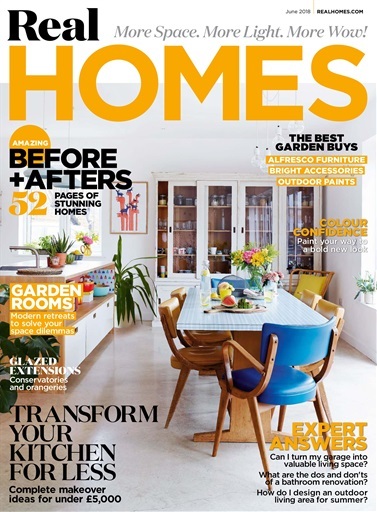 If you're planning to transform your home, the new-look Real Homes is the perfect magazine for you. It contains more amazing before and after pictures of readers' homes than ever before - providing all the inspiration you need for your own project. And whether you're hoping to build a kitchen extension, convert your loft or garage, or simply redecorate your living room, you'll also find the in-depth expert advice you need to make it a reality. Don't miss the all-new Q&A section, which allows you to get your home-improvement questions answered by industry experts – from interior layout and design advice, to tips on budgeting and planning permission. You'll receive 12 issues during a 1 year Real Homes Magazine magazine subscription. 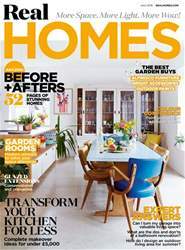 You'll receive 12 issues during a 1 year Real Homes Magazine magazine print subscription.